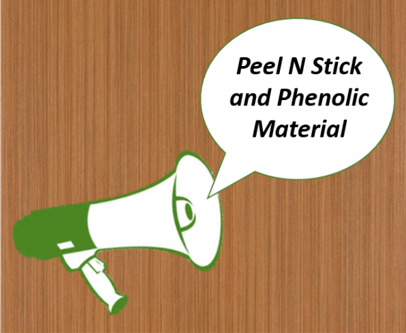 Home / Blog / Matching Peel N Stick (PNS) and Phenolic Material Available Now!!! Matching Peel N Stick (PNS) and Phenolic Material Available Now!!! JB Cutting is happy to announce we carry Peel N Stick (PNS) and Phenolic Material in a variety of colors! In an effort to be your one-stop-shop, we offer both types of refacing options so you can get an exact match to your 3DL (thermofoil) components. Not sure what PNS or Phenolic is? We’ve provided brief explanations of each option below. Which Peel N Stick (PNS) and Phenolic Material colors are currently available from JB Cutting? While these are the current stock options available, we would be happy to bring in another color to help you complete your design. Interested in having one of JB Cutting’s other stock 3DL colors made up in Phenolic or PNS? Call (586.468.4765) or email (doororders@jbcutting.com) with your inquiry and we will happily assist you!